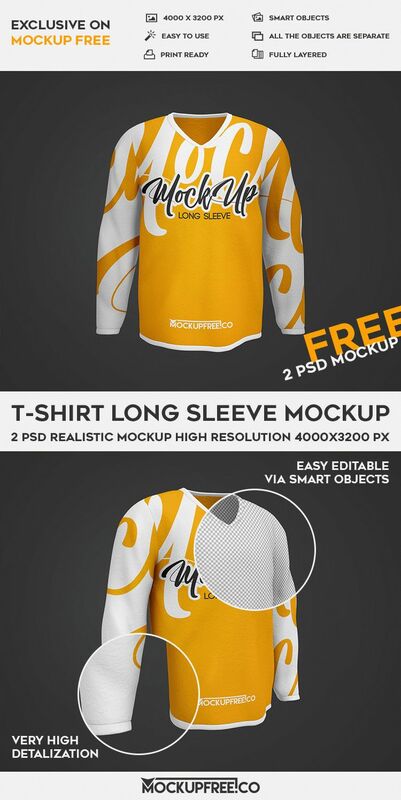 Our new professional freebie T-Shirt Long Sleeve – 2 Free PSD Mockups can be easily downloaded right now from our website MockupFree and used for your professional presentations and interesting ideas. Absolutely professional and stylish mockups in .psd format can be very useful for designers, artists and promoters. Download our mockups only once and use as many times as necessary. Enjoy!